Arrive in Sri Lanka and you will be welcomed by the representatives of Asian Escapes and transfer to Negombo. Check in at your hotel in Negombo. 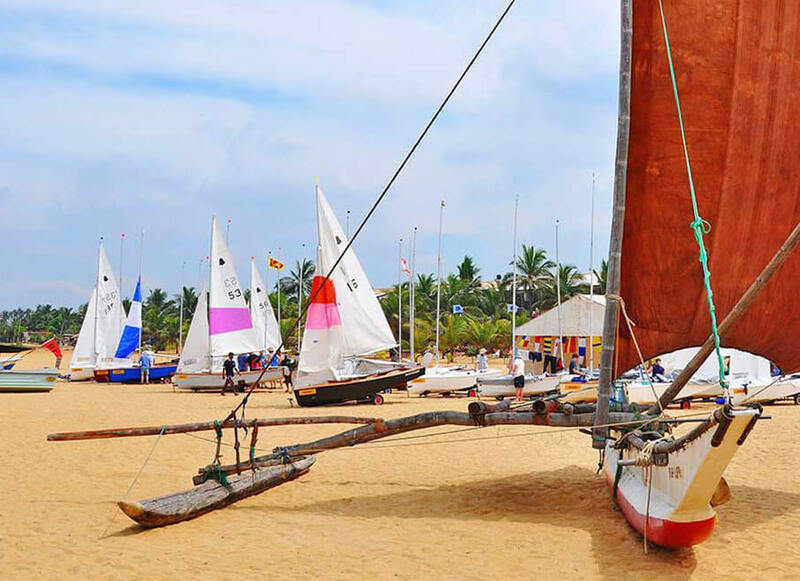 Leave for Anuradhapura after having breakfast at your hotel in Negombo. 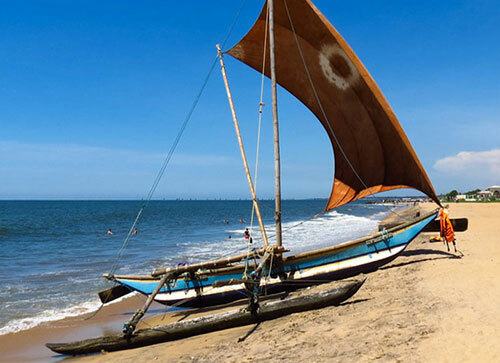 Visit Munneshwaram Temple and Mannavari Temple in Chilaw which are two of the famous Ramayana sites in Sri Lanka. Continue to Anuradhapura and visit the places of veneration in Anuradhapura in the evening. This tour includes, Sri Maha Bodhi, Ruwanweli Stupa, Abhayagiri Stupa, Mirisaweti Stupa, Jetawana Stupa, Brazens Palace, Thuparama Stupa and Lankarama Temple. Check in at your hotel for overnight stay. Breakfast at the Hotel. Proceed to Polonnaruwa via Mihintale. 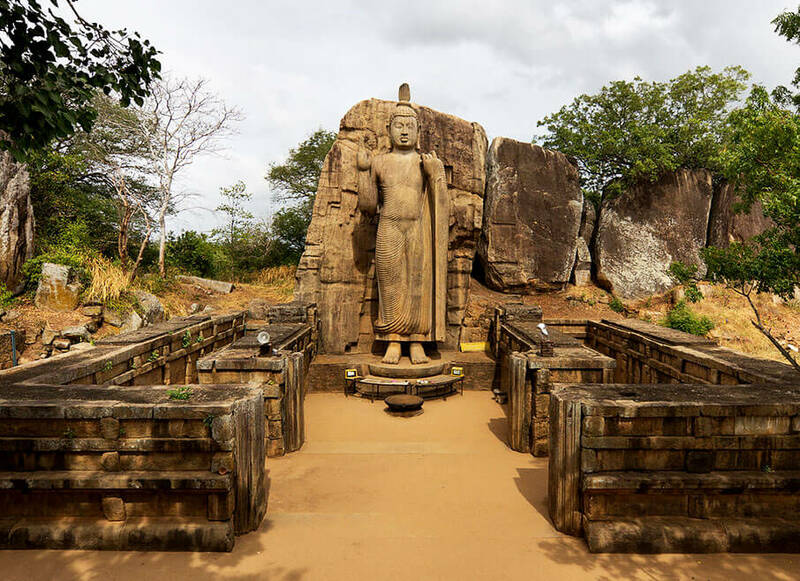 Visit Mihintale Monastery where Arahath Mahinda Thero (the son of Emperor Ashoka in Ayodhya) which inaugurated the presence of Buddhism in Sri Lanka. Witness the rock where the Buddhists monks met King Devanampiya Tissa and continue to Polonnaruwa and check at your hotel. 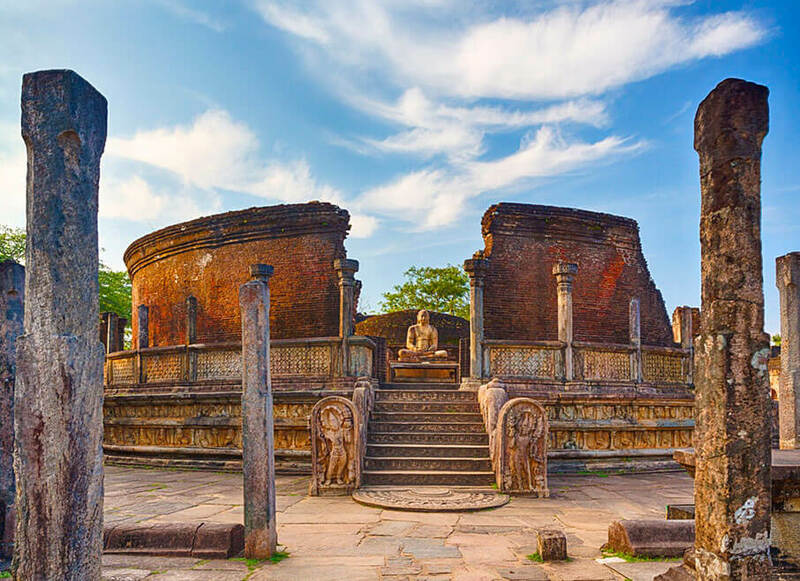 In the evening visit the Polonnaruwa Historical site which is one of the best planned archaeological sites in Sri Lanka. Polonnaruwa kingdom was the second kingdom of the ancient Sri Lanka. Back at the hotel for overnight stay. Leave for Sigiriya after breakfast. Witness the engineering marvels of the ancestors and back to foothills. Afterwards you will be taken on village tour in Hiriwadunna village. 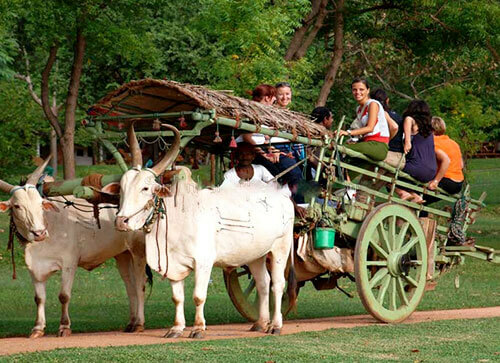 You will be able to experience a catamaran ride, bullock card ride and a tuk tuk ride in your trek. Check in at the hotel for dinner and overnight stay. Breakfast at the Hotel. Proceed to Kandy via Dambulla after breakfast. 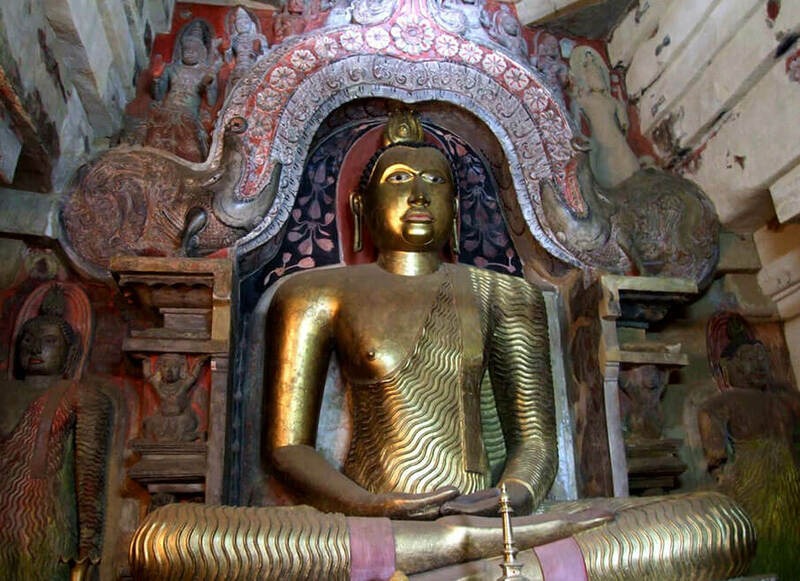 Visit Dambulla Cave Temple: a UNESCO World Heritage which has 5 caves with hundreds of Buddha Statues in different postures and frescos in the cave walls. Also visit the Golden Temple in which is recently built. Proceed to Kandy via Matale. 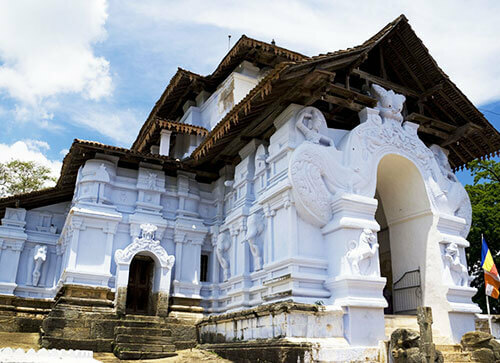 Visit Aluvihara Temple in Matale in which the Buddhist Doctrine after having been handed down orally for several centuries was first transcribed into Ola leaf in In 1st Century BC. Proceed to Kandy; the most venerated City for the Buddhists in Sri Lanka. Proceed to Kandy and check in at your hotel. In the evening you will be taken on a city tour including a visit to most venerable Temple of Sacred tooth relic and cultural show. Back at your hotel for overnight stay. Breakfast at the Hotel. Leave for Nuwara Eliya. 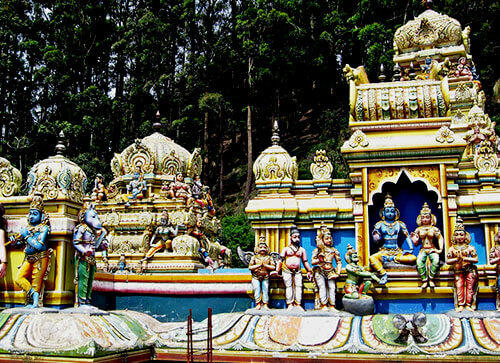 Visit three famous Temples around Kandy, which are Lankathilake Temple, Embekka Shrine & Gadaladeniya Temple. Continue to Nuwara Eliya and check in at your hotel for dinner and overnight stay. Leave for Tissamaharama after breakfast. Stop at Sita Amman Temple which is believed to be the place that Princess Sita was kept hidden according to the Ramayana Legend. Continue to Tissamaharama via Ella & Wellawaya. Check in at your resort which is located in the bank of Yodha Lake. Evening at leisure. Dinner and overnight stay at your hotel in Tissamaharama. Canoe ride in the Yodha Lake in the morning. Back at the resort for Breakfast. Go for a Village Trail after breakfast. Visit a local Chaina Cultivation and spend some with the village farmers. You will be able to sit and talk to them, interact with them and even prepare your lunch with them. Back at the resort in the evening and try out some soft adventure activities like, tower rappelling & Toddy Tappers Walk. Enjoy the dinner and overnight stay at your resort in Tissamaharama. After the breakfast at the Resort, you will be taken transferred to Mirissa. Check in at your hotel. Rest of the day at leisure on the beach. Overnight stay at your hotel in Mirissa. Breakfast at the Hotel. Full day at leisure on the beach. Dinner and overnight stay at your hotel in Mirissa. 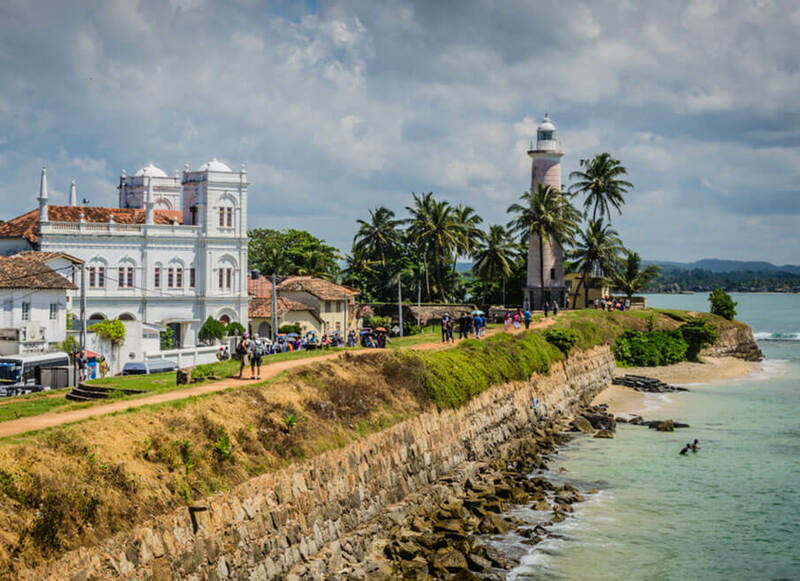 During this period you will be able to visit Galle Dutch Fort which is a UNESCO World Heritage Site in Sri Lanka. 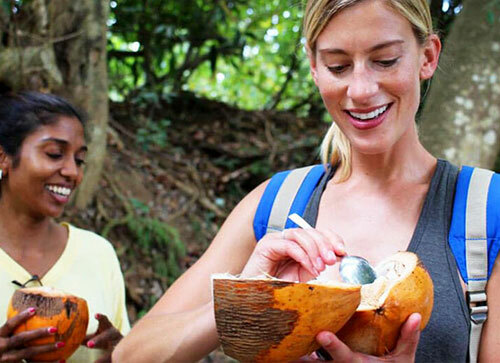 A mountain biking trail in Galle will enable you to explore the countryside and expose more to the locals. Proceed to Colombo after breakfast. Check in at your hotel upon your arrival at Colombo. In the evening you will be able to visit Gangarama Temple in Colombo and go for a shopping tour in Colombo. 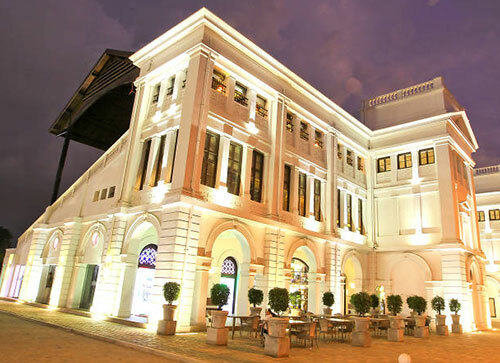 In the late evening you are free to experience the night life of Colombo.